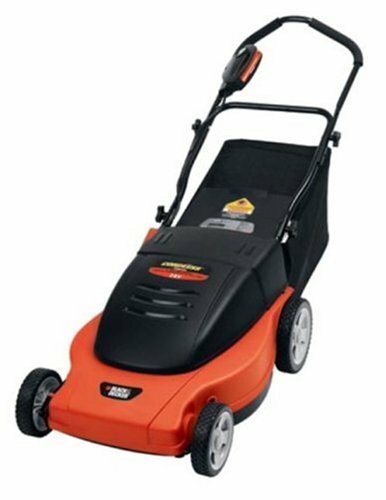 An electric mower of some sort is the norm for most households. Hand push mowers give a good cut, but need energetic operators with a willingness to mow regularly. Petrol mowers are needed on large lawns, where trailing cables are both restrictive and dangerous. Traditional cylinder mowers still do the best job, but they are not suitable for rough grass or steep banks. Wheel mounted rotary mowers with rollers make a good second best. Hover mowers, which float on a cushion of air, will encourage a puffy sward unless used in conjunction with a roller. However, they are lightweight and excellent for banks, rough grass and verges. Strimmers are useful for cutting grass at the base of walls, trees and the like. Don’t skimp on size of mower. Very small machines are put under considerable strain on large lawns. Under these circumstances they cannot be expected to have a long life nor do a good job. A 30 cm (12 in) mower is about right for a lawn of up to 83 sqm (100 sqyds). All grass clippings are best boxed/bagged off. Failure to do this spreads weeds and moss, encourages worms and disease and builds up ‘thatch’ (matted grass). And there is the added nuisance of trampling grass into the home. If mowing without a grass box, pay particular attention to scarifying. All cylinder mowers and most wheel mounted rotaries offer efficient grass collection facilities. And there is at least one hover which claims to do an acceptable job of grass collection. The more expensive of the rotary mowers without grass collecting facility pulverize the grass down so finely as to have the minimum adverse effect. But don’t allow the grass to grow too long between cuts. When extension leads are needed for electric mowers, go for those in dispensers which are designed for the job. This is both in the interests of safety and ease of operation. Always use an RCD cut-out plug or adaptor with an electric mower, so that if faults develop the power is cut off instantly. Although most machines are fitted with safety cut outs, some are not — avoid these. Plastic bladed rotaries are much safer than metal. The height of cut should be adjusted to suit the weather and the time of year. Generally speaking, set the mower blades high for the first two or three cuts in spring. Gradually lower the height of cut until mid-summer droughts, when too close a cut puts the grasses under great stress, and height of cut should once more be raised. Cut closely again in late summer, finally raising the height of cut as cold weather approaches. Mowing too close weakens grasses, scars and scalps, so allowing weeds and mosses to get a hold. Not mowing close enough leads to a thin sward of coarse grass. Where the grass has been allowed to grow too long, take it down gradually in stages. Make the first cut with mower set high — lowering the setting for the second and subsequent cuts made a few days later. Start cutting in spring as soon as the grass is growing freely — a couple of cuts in early spring is usual, and no more, otherwise the grass will suffer irreparable damage should late severe frosts strike. Mow at least once a week during the main growing season. Ease off during mid-autumn and stop by late autumn. Aim to alter the direction of cut at each mowing. Mow up and down one week, across the next, and diagonally the next. After mowing, trim the edges. Long-handled edging shears are ideal but ordinary hand shears will suffice. Edges between lawn and path should be trimmed regularly with a spade or half moon edging iron. In fact all edges benefit from being recut with a spade or edging iron once a season.